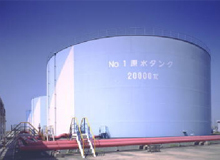 The atmospheric storage tank is a large tank for liquids at atmospheric pressure or regular pressure close to atmospheric pressure and is used for storing indispensable fuel of our daily life, such as oil or gasoline. 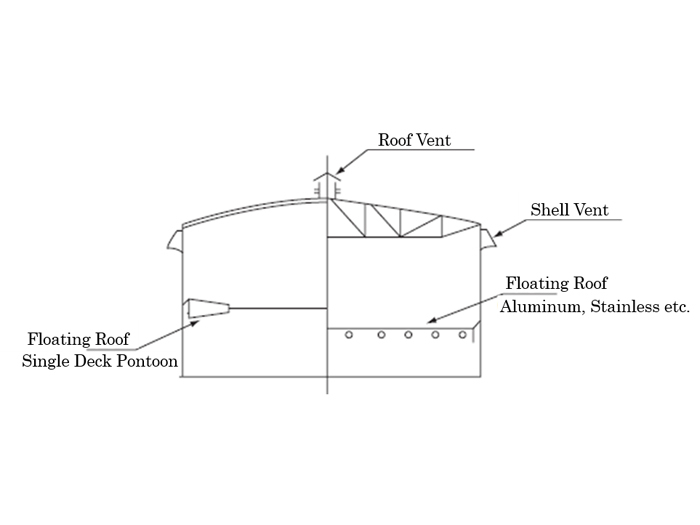 The Floating roof tank has a roof that floats on the liquid inside, and the roof goes up and down with the use and restocking of the storage liquid. 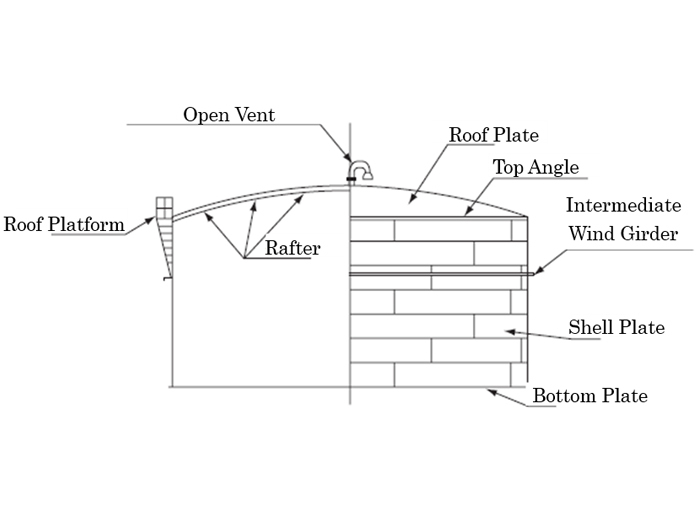 To restrain loss of liquid through volatilization, there is a specialized seal structure between the floating roof and the shell plate. 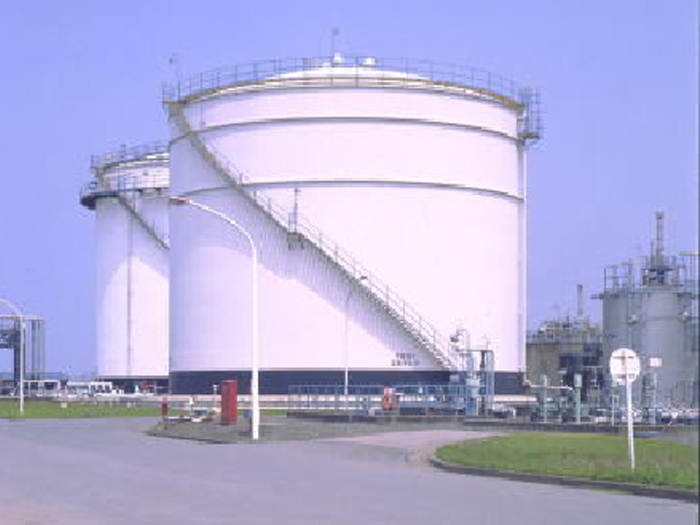 This structure, and it has the advantage for mass storage of crude oil, naphtha, etc. 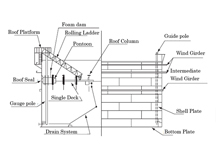 There are two types of FRT a single deck and a double deck. 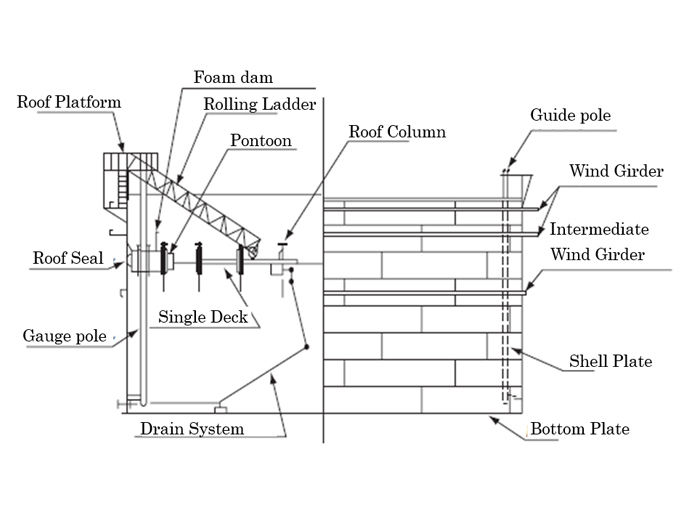 The double deck is safer because it is more high stronger and more buoyant. 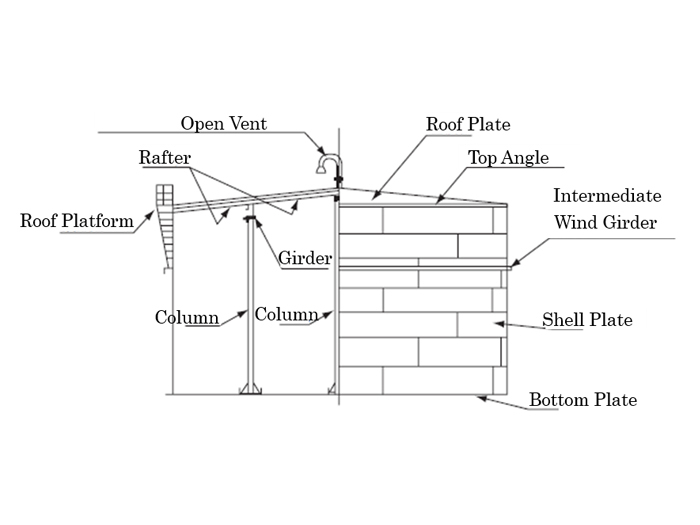 The dome roof tank has no supporting column, and it can be built with or without the roof frame, depending on its size. 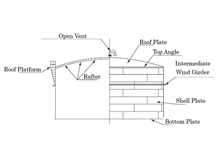 The dome roof is advantageous when the internal pressure is high. 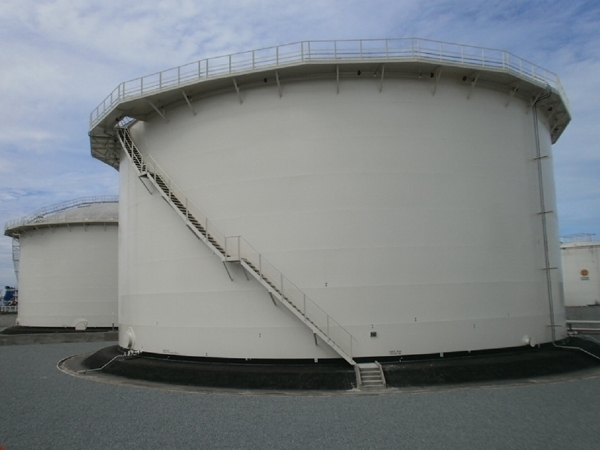 This tank is used as raw water tanks for electric power companies, and it has cone-shaped roof supported by a self-supporting structure and supporting columns. 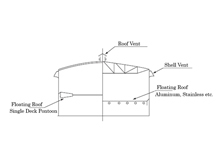 Covered floating roof tank combines the advantage of floating roof and covered roof, which provides more protection from rain water while restraining volatilization. 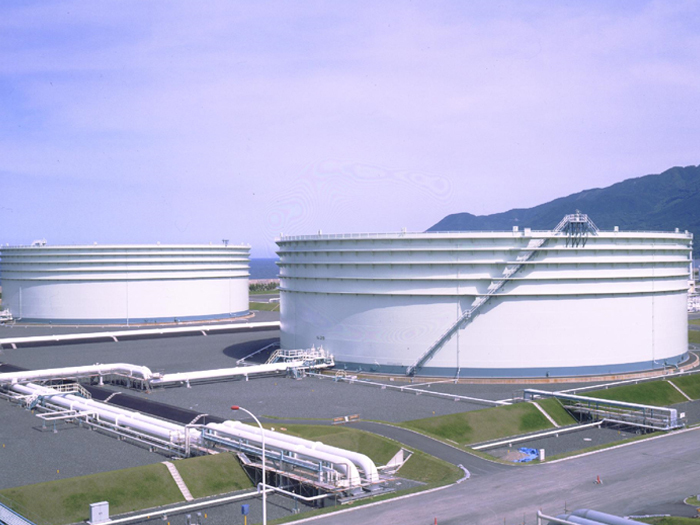 There are some case sealing tank by inert gas, and it has advantage over sealability. We constructed the two 12,000m3 CFRTs in Brunei in 2013. 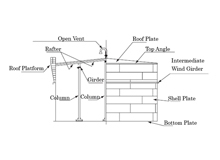 The covered roof and inner floating roof were made of aluminum. We have been working on tank construction and large-scale remodeling work in Brunei since 2002. 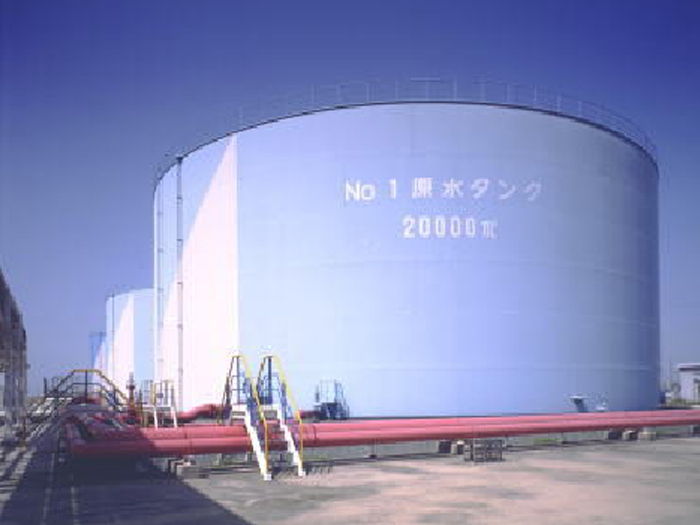 These crude oil tanks for the Shibushi oil terminal reserve crude oil for energy security by the request of the Japanese government. 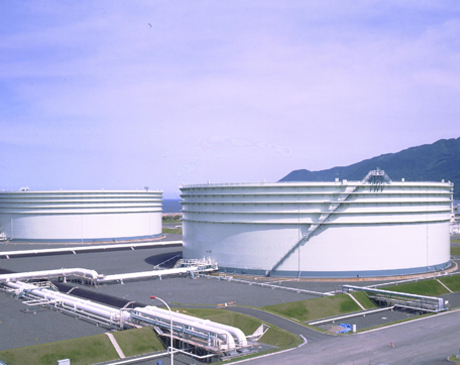 There are 10 public petroleum reserve terminals across Japan, and they play an important role in Japan’s energy security. 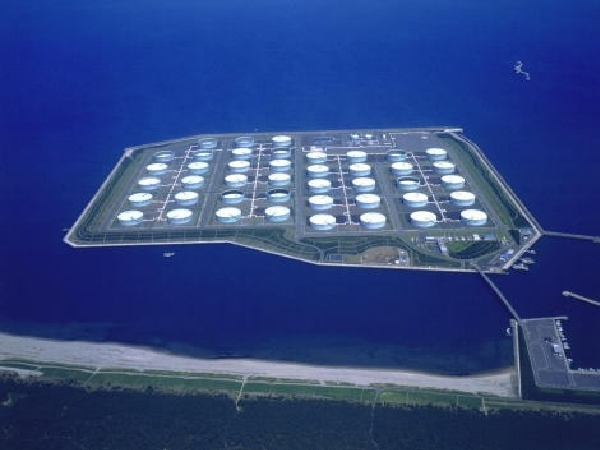 We have constructed the floating roof tanks for the terminals at Mutsu-Ogawara, Eastern Tomakomai, Fukui, and Shibushi.